^^^ the video worked for me from my iPhone. The whole light up ear thing is cool but only if a lot of people buy them. I would find it annoying to just see a few scattered in the audience. It would be more of a distraction during the show for me. Plus if you buy one, it's not like you can enjoy the lights, just everyone around you. Just my thoughts on it. I think the only time these Glow with the Show ears look amazing is when the majority of people are wearing them. ie. 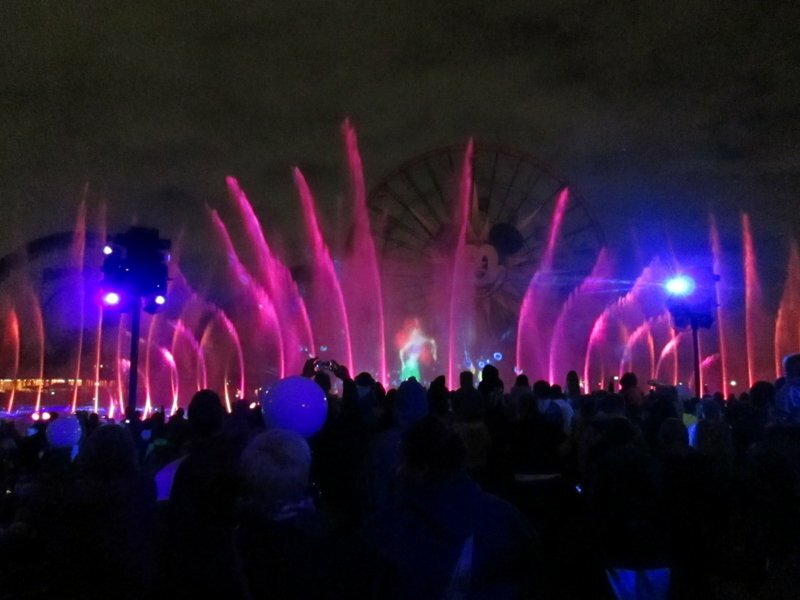 Press day for World of Color or Fantasmic. After that, it's hard to get people to spend $25 on a pair of ears. 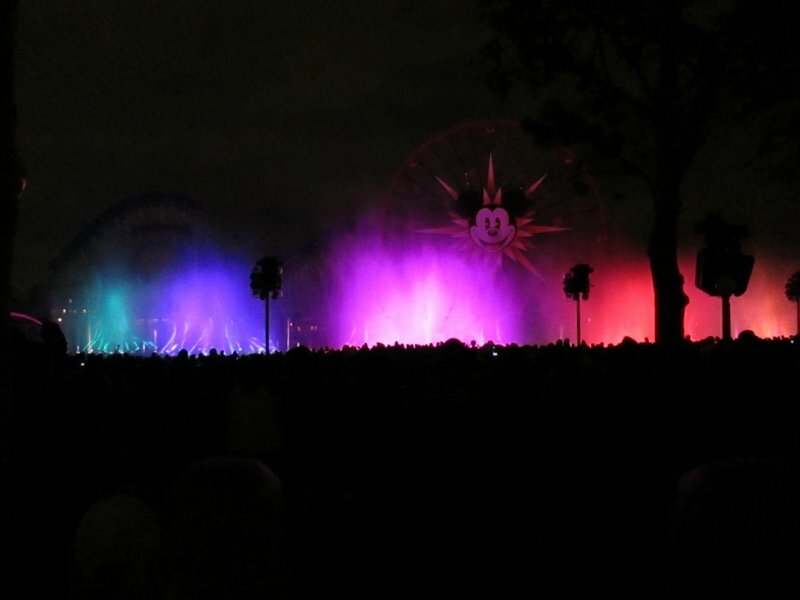 When I was World of Color twice in April, I saw maybe 10-12 hats TOTAL at both shows. Didn't really have the same effect as when 5000+ people are wearing them. I spot two pair of ears in this shot. I concur. It looked cool when Disney did an annual pass event for World of Color and gave out free ears, because EVERYONE had them. It has looked stupid since. I really hope this is all just a test of the communication system (I think they use RFID) to be used for something on a larger scale (like lighting up entire areas without having to do tons of wiring). I wonder if they've ever considered using a phone app that turns your screen into an interactive color flasher thingy that interacts with their shows? Random dork note, Kentucky basketball using using one if these apps ( the app is called Wham City Lights) for their midnight madness event tonight and have asked everyone in attendance to download the app. I don't know how it all works but I'm pretty sure it will look pretty amazing in Rupp, would probably look really cool at and number of Disney night shows. Jew wrote: I concur. It looked cool when Disney did an annual pass event for World of Color and gave out free ears, because EVERYONE had them. It has looked stupid since. I really hope this is all just a test of the communication system (I think they use RFID) to be used for something on a larger scale (like lighting up entire areas without having to do tons of wiring). Its not RFID, its basically a TV Remote. The towers send out the infrared signals, and your hats receive it and react. Whatever it is, it's pretty lame without a lot of participation! I hope/assume this is just the beginning for the technology in the parks, using glow with the show as a test bed. Hey, I agree. I did some of the events with thousands of ears and it's pretty amazing. But they just don't work with a few ears. It made a bit of sense at Disneyland because it's more a locals park (and locals would be more likely to bring them back over and over. They just don't.) But I didn't get why they did it elsewhere when it wasn't working at Disneyland haha. It could be a test bed for future tech, not sure about that. It's useful for long range where RFID is better at a short range. Because they probably figured people are more likely to drop that kind of money on the ears during their once-in-a-lifetime vacation. 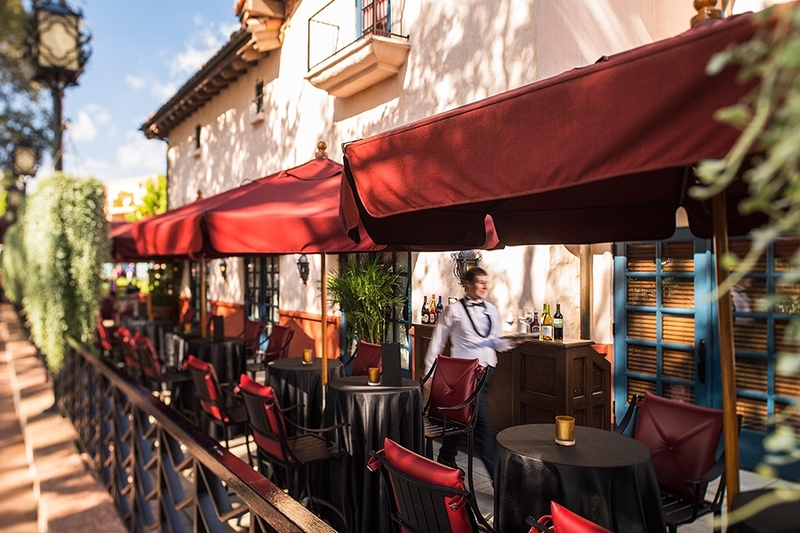 Just like starlets of yesteryear at the original Hollywood Brown Derby, guests can enjoy a beautiful afternoon or evening relaxing on the new patio lounge at The Hollywood Brown Derby Restaurant at Disney’s Hollywood Studios. 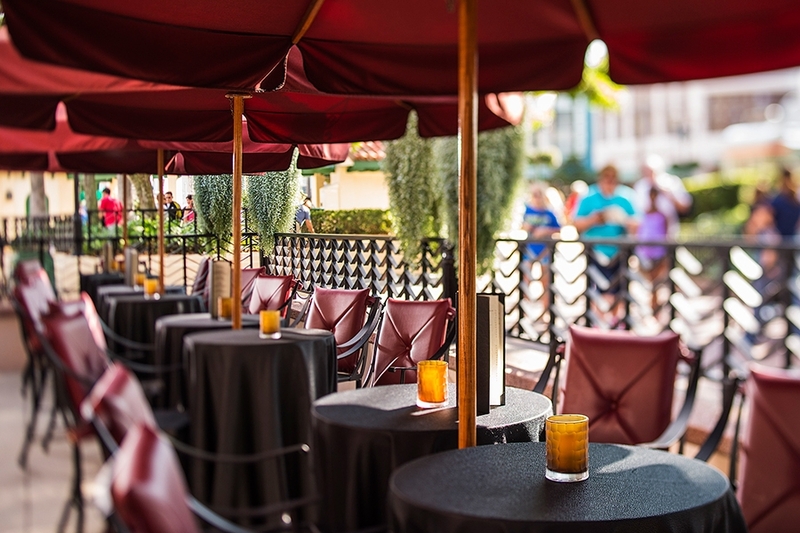 Shaded by big umbrellas, guests can sip wine, beer and cocktails such as a classic Mint Gimlet (Nolet’s Silver Dry Gin, simply syrup, lime juice and fresh mint) or a Bloody Mary with Absolut Peppar Vodka. 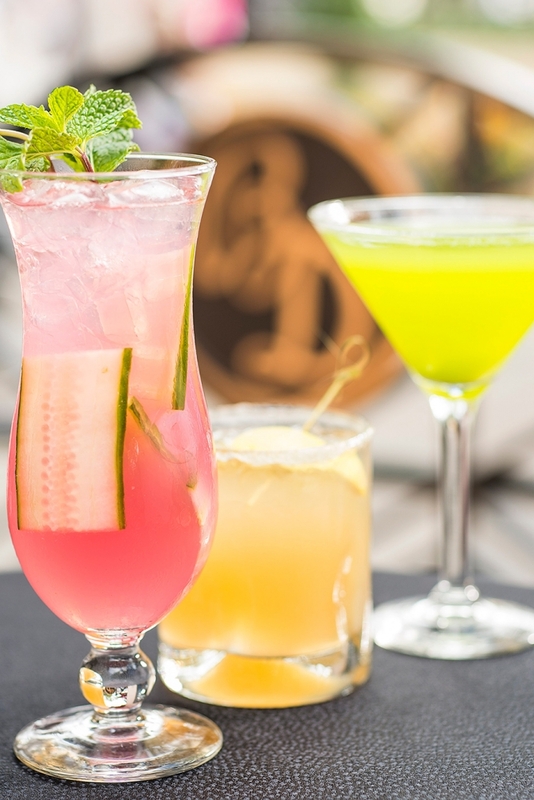 There are flights of martinis, Champagne, wines, Scotch and Grand Marnier. And wine by the glass or half bottle. Small bites are on the menu and include artisanal cheeses, charcuterie, duck confit tacos, steamed Prince Edward Island mussels, Derby Cocktail with jumbo lump blue crab, black tiger shrimp, avocado and a horseradish-tomato juice, and two Derby Sliders—a Wagyu beef slider with cognac mustard aïoli, smoked gouda cheese, bacon and avocado; and a house-made chorizo slider with chipotle mayo, manchego cheese, pickles and crispy onions. 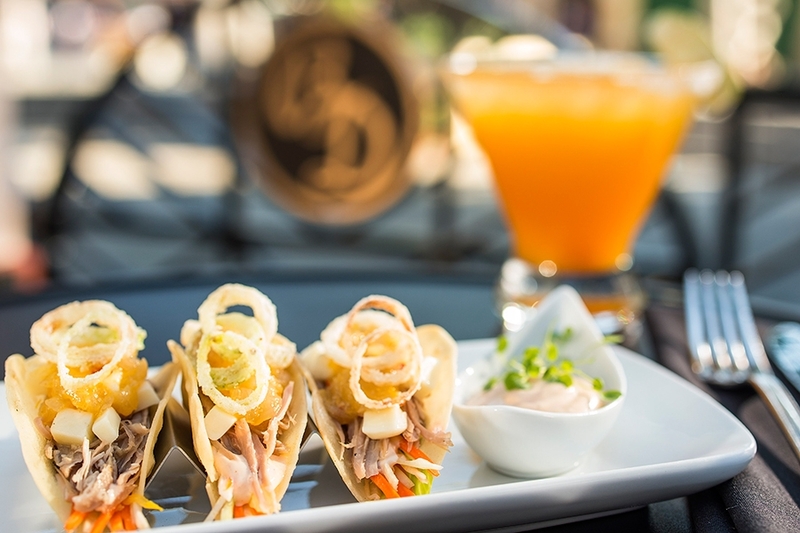 You can also just stop for dessert, with Chocolate Three Ways (praline milk chocolate cream, crunchy ganache and orange-chocolate mousse), a banana-white chocolate toffee tower on a cocoa-almond cookie and bananas Foster, or strawberry Champagne cheesecake. 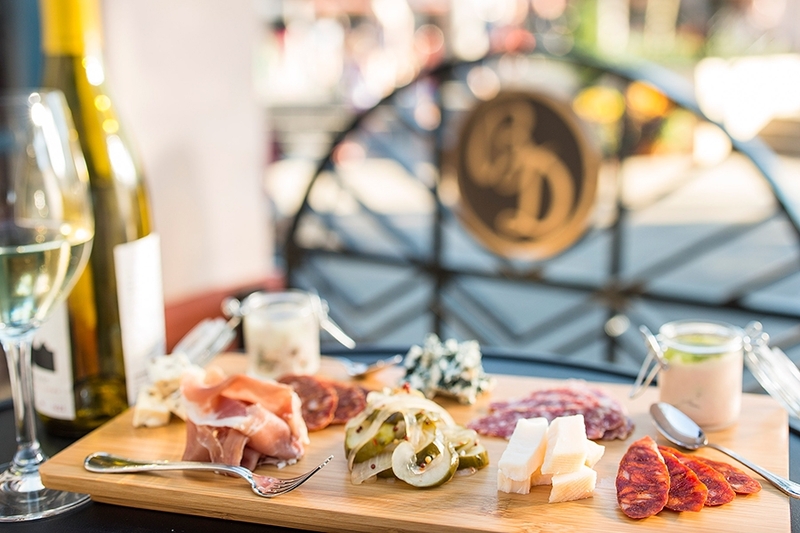 Seating is first-come, first-served, with no reservations. 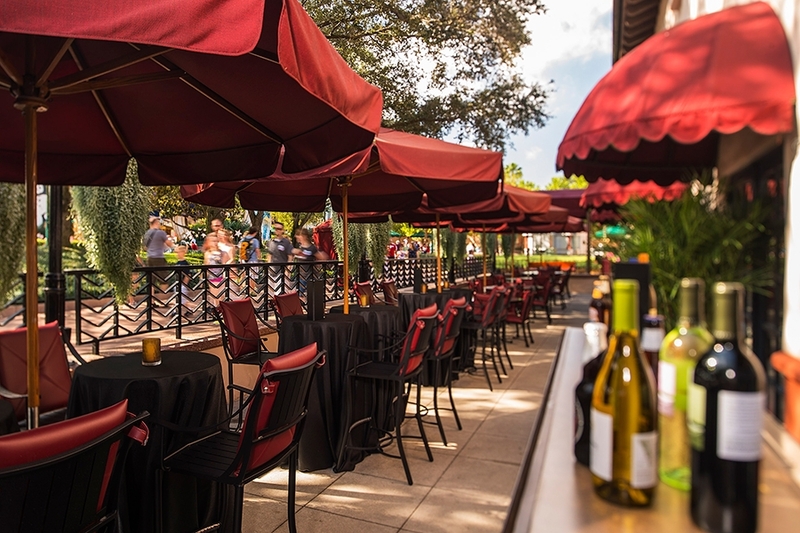 Tables in Wonderland discount is applicable, but Disney Dining Plan is not accepted.